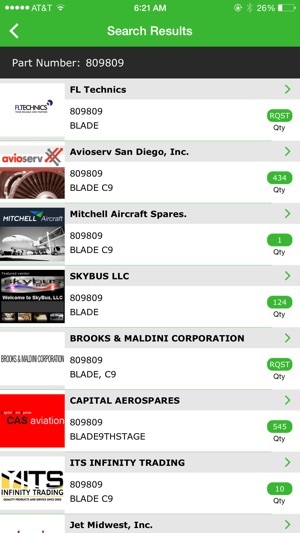 StockMarket.Aero is an iPhone app that turns your iPhone into a powerful aviation parts and services database. 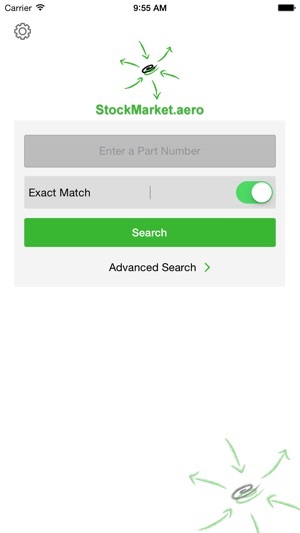 Quickly search over 100 million aircraft parts with the same user experience and robust search engine found on our StockMarket.aero website. After download, new users can register at no cost to immediately start searching with the app and existing StockMarket.Aero simply log in with their current account credentials. 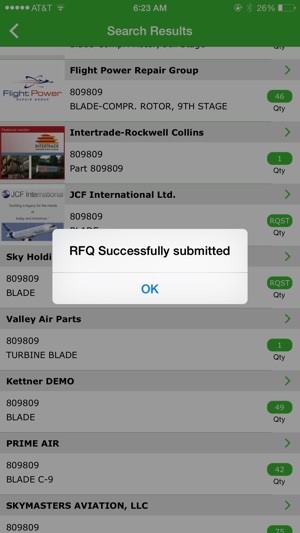 -View current stock availability or MRO part capabilities by part number and alternate! 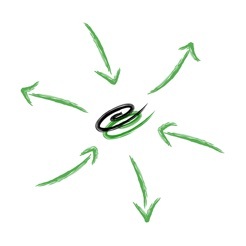 -View part images and certifications! 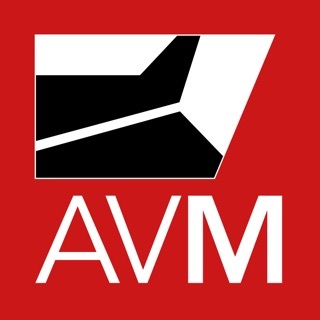 -Access complete vendor contact details! -Submit RFQ’s or Purchase Orders to any vendor! 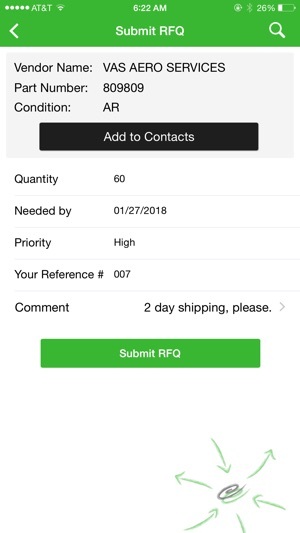 -Create contacts by saving the vendors info with a single tap! 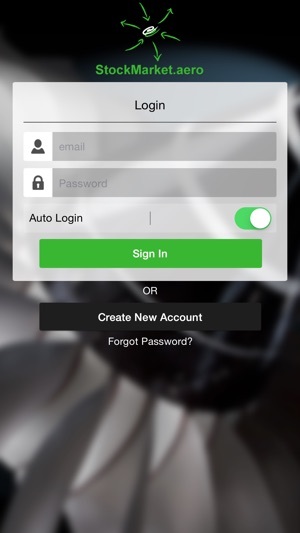 Sign in or Sign up for free, and make your job easier with the StockMarket.Aero iPhone App. Clear, concise information that is easily retrievable. And it is FREE! Love the website, love love the app! 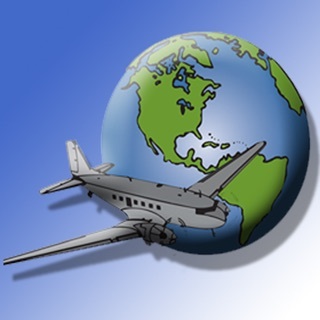 Fastest and easiest way to find aviation parts anywhere I am! Love the website, love love the app!